Asgardsstrand, inspiration for artists and home to a very interesting cafe! With its gentle coastline, hilly little roads through forests, tranquil beaches and charming coastal towns, the Oslofjord region of Norway is a cyclist's paradise. Stretching for 120km from Oslo in the north to Langesund in the south, 40% of the Norwegian population live close to the Oslofjord, and it's an important leisure attraction. Quaint harbour towns and villages stretch along the coast - each with its own unique history and attractions. And tranquil country lanes meander around the fjord, leading up to Oslo. Cycling from one beautiful destination to the next, you'll pedal back in time to a more simple life - where the locals embrace a stress-free culture and the astonishing nature that surrounds them. Many coastal towns nestle comfortably below the steep fjord edge, where the ports were once used as important trading points, for anything from timber to shrimp. Crossing over the fjord by ferry to the east from Sandefjord, once the Norwegian whaling capital, to Stromstad in Sweden, you can visit the harbour, famed for its shrimp fishing and dine in one of the pavement cafes or restaurants. Passing lush green fields and pedalling through woods you can enjoy a pleasant dip in one of the swimming spots en route. Riding through Borre National Park, near Horten, there is a large Viking burial ground. Whilst Norway's only surviving fortified town, Fredrikstad, is home to many historical buildings. Founded in 1567, this historic gem, complete with an immaculately preserved fortress and moats, gives an impression of life in this former garrison town. It also boasts pretty boutiques, inviting coffee bars and art galleries that you can hop off the saddle and enjoy. One of your best memories will be made in the little town of Asgardsstrand. Since the C19 its quality light has attracted painters such as Munch who set up their easels and interpret the idyllic landscapes. Here you can admire the dazzling wooden houses and for an interesting twist, visit cosy Munch's Cafe in the town centre, owned by Norway's 'most successful' bank robber from the 1970s. Thankfully he's since retrained in baking and Norwegian home cooking, and his cafe is renowned for its delicious cakes and shrimp sandwiches. The young Roald Dahl, who spent his summer holidays here from 1920 to 1932, wrote: 'Unless you have sailed down the Oslofjord... on a tranquil summer's day, you cannot imagine the sensation of absolute peace and beauty that surrounds you. 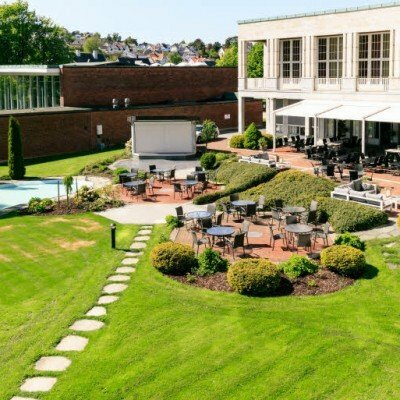 You'll stay in a range of HHH, HHHH and HHHHH hotels, from the trendy urban Drammen Hotel to a grand hotel overlooking the harbour in Sandefjord and the modern sleek boutique Son Spa. Take the train to Drammen then it is a five-minute walk to your hotel, or you can catch a taxi from outside the station. Take a stroll into the city this evening to enjoy dinner, visit one of the welcoming coffee shops or wander along the river. Leaving Drammen behind, a small climb rewards you with stunning views of the Drammenfjord, before passing through lush green meadows and small villages. Cycling on a series of cycle lanes, you'll drop through the pretty village of Sande then pass through lively Holmestrand - 'the city under the mountain' - which nestles just below the steep fjord edge. You'll cycle right into the centre, to the little harbour, tightly packed in summer with small boats, where pavement cafes promise a well-earned break. You then make a long descent into Horten, perhaps stopping at the marine quarter before making your way to your hotel. There are plenty of dining options in Horten, pay locally . A wooded trail takes you out of Horten, following the fjord, passing through incredibly cute Asgardsstrand, with its streets of wooden houses, to where Edvard Munch was born. Admiring pretty bays and small farms, you'll arrive in Tonsberg 'the Viking town'. An undulating ride through green meadows giving occasional glimpses of beautiful bays brings you into Sandefjord, a lovely town, formerly the capital of Norway's whaling industry. It is now a lively town with some lovely bars and restaurants on the fjord shores. An early ferry at 8.30am takes you across the opening of the Oslofjord to Stromstad in Sweden, where there is an optional 17km cycle ride through the forest and around the bays. Back for lunch in the town famous for prawns, then a boat up the fjord and a small stretch on Norway's longest river into Fredrikstad. Time for a quick visit of the impressive old town before heading to your hotel for in the centre of the newer part of town. Today's ride takes you through stunning countryside mixed with pretty villages, passing old farms, quaint churches and beautiful fjord-side towns. Passing through the larger town of Moss, its tiny Old Quarter has been beautifully restored. A forest track takes you out of town and onto Son, a stunning village on the fjord, to the Son Spa hotel, is a real treat. You'll cycle to the pretty port of Drobak where you'll leave your bike and jump on a boat back to Oslo, passing many of the islands along the fjord. From there, it is a short walk to your hotel, which is ideally located in the centre of Oslo. Free day to explore Oslo, Norway's capital city and the oldest in Scandinavia, dating back to 900AD. The compact city centre abounds with sights of interest, including over 50 museums and art galleries, peaceful parks, many fine shops and an excellent public transport system to help you make your way around. Make your way to the train station and back to the airport. 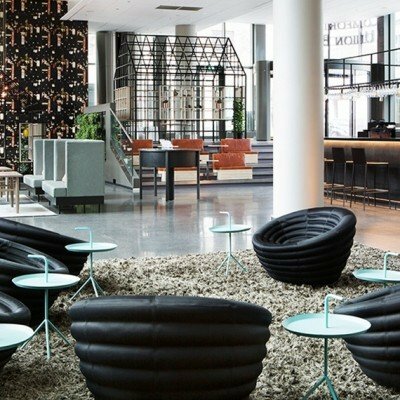 The contemporary Comfort Hotel Union Brygge is located right in the centre of Drammen, just a 7-minute walk from Drammen Central Station and next to the Drammen River. The area surrounding the hotel has a great choice of restaurants, bars and shopping. Close by are ski slopes, golf and Drammenbadet - a leisure complex with five indoor, four outdoor pools and a wellness area. The hotel has 140 ultra-modern rooms and four suites with different rock themes. Each room has bedside tables, a desk and chair, an ensuite bathroom with hair dryer, and a TV to which you can connect an iPod/iPhone or laptop. The hotel's other facilities include a gym, 24-hour lobby bar and a restaurant, open for lunch and dinner when booked in advance, as well as complimentary Wi-Fi throughout. 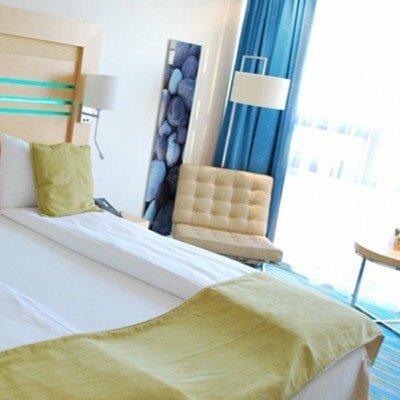 The modern Thon Hotel Horten is conveniently located close to the town centre of Horten, the harbour and the ferry terminal. The 65 rooms, all smoke-free, and most public areas have recently been renovated and upgraded and complimentary Wi-Fi is available in all of the public areas and hotel rooms. There is a bar, open daily, a terrace, and the restaurant at the hotel is open for breakfast daily and dinner (Mon-Fri). Nearby, there is a choice of museums, sights and activities, including the Borre Golf Club, shopping centres, a coastal trail, fishing and boat-trips. There is also a good array of pubs, restaurants, shopping centres and beaches close to the hotel. 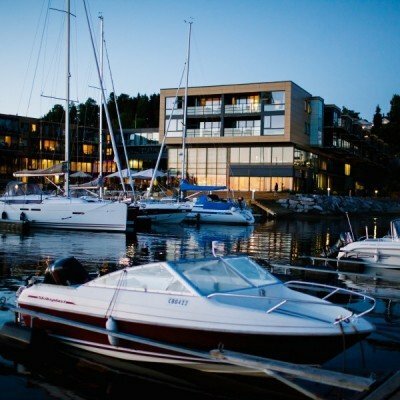 Centrally located next to parkland and the marina that sits at the top of the fjord, the Scandic Park Sandefjord is within walking distance of pretty much everything you might need in the local area. The facilities here are excellent and include opportunities to relax at every turn, whether it's the outdoor terrace or the spa area's indoor pool, sauna, relaxation suite, beauty salon or even the gym, you're spoilt for choice. 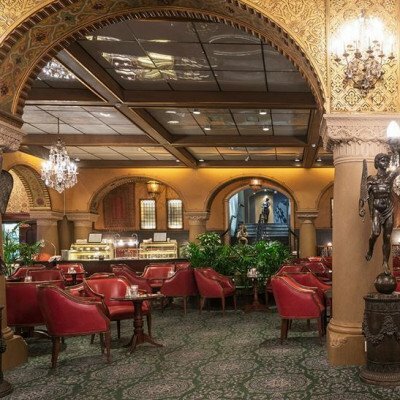 The hotel's award-winning breakfast buffet is served in the bright and airy restaurant. There is also a bar and a 24 hour shop in the lobby. Comfortable rooms come with ensuite shower rooms, TV, desk, chair, hairdryer, refrigerator and complimentary Wi-Fi. Some have wooden floors, whilst others are carpeted. 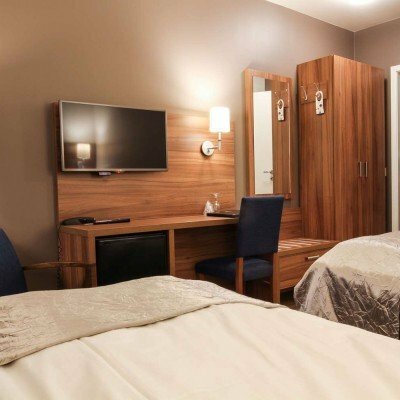 The Scandinavian design and architecture of this hotel give it a very modern look but the staff and friendly service provides a relaxed atmosphere. Located in the heart of Fredrikstad, Scandinavia's best preserved fortified town, the hotel is within walking distance of the city's charming C15 Old Town with its narrow alleyways, restaurants, shops, cafes and shopping centres. Rooms come in two designs: Ocean and Urban. The Ocean room design is inspired by the northern lights and fjords, while the Urban room design uses pale textiles and dark wooden furniture. All rooms have comfortable beds, ensuite bath or shower room, TV and complimentary Wi-Fi throughout. Other facilities include a bar and restaurant serving good food with a rustic, homemade touch. Son Spa, one of Norway's largest spa complexes, is housed in this modern resort with its unique architecture and Nordic design. Situated right on the coast, amongst the stunning archipelago south of Oslo, the hotel is within walking distance of the village of Son. The spa itself is an expansive 2000sqm and offers so many different ways to relax, including a fabulous outdoor Jacuzzi with sea views and a whole host of spa treatments. If the spa doesn't take your fancy, the hotel has its own marina for hotel guests, kayaks to paddle and hiking trails to be walked. The restaurant serves a choice of tasty and healthy food, particularly the seafood and the stylish bar and scenic terrace are a great place to sit and enjoy the sun setting over the Oslofjord. The hotel's distinctive decor and warm atmosphere reflects the area's rich maritime history and 74 of the 148 rooms are suites with private balconies, most of which overlook the Oslofjord. Combining traditional elegance with modern comforts, the recently renovated Hotel Bristol is located in the heart of Oslo city centre. It's just a short walk to shops, restaurants, museums and the waterfront area. There are 251 comfortable rooms and suites, all with tv, wifi, minibar and safe. Facilities also include a restaurant, the Library bar with live piano entertainment and a brand new gym! Every Monday from 27th May 2019 to 9th Sep 2019, for 7 nights. All dates are subject to availability, please contact us to check. It is possible to hire electric bikes for this holiday at a supplement of £110 per person. As these are available on a first come first served basis, we recommend early booking to avoid disappointment.